When it comes time to buy or lease your next new vehicle, turn to our new Chevrolet dealership near Carmel, IN. We offer over 1,000 new vehicles to choose from across more than 10 dealerships, so finding the right make and model for you and your lifestyle will be a breeze. If you're in the market for a new Nissan SUV, consider purchasing the Nissan Rogue or Nissan Pathfinder. If you envision something smaller, set your sights on the new Honda Accord or Chevrolet Cruze for sporty performance. If a new Chevy truck caught your eye, we have new Silverado and Colorado trucks waiting for you on our lot. 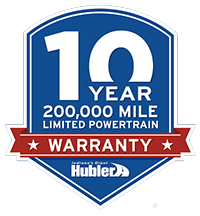 At the Hubler Automotive Group, we make it our goal to see you drive away in your dream new GMC, Buick, Acura or Honda vehicle, so shop with us today. A member of our Mazda sales team will be happy to discuss buying vs. leasing options with you if you have any questions! Government 5-Star Vehicle Scores are part of the National Highway Traffic Safety Administration's (NHTSA's) New Car Assessment Program. For additional information on the 5-Star Safety Ratings program, please visit www.safercar.gov.